Designer radiators and electric heating are areas of the heating market that have rapidly grown over the last 2 years due to a number of significant customer benefits. Myson have incorporated these attractive benefits into a new generation of electric radiators, the Myson electric Column. This range is an exciting addition to the UK heating market, providing consumers with choices never previously possible. The electric Column radiators give a symmetry and elegance that complements any interior, with a sleek white painted finish. 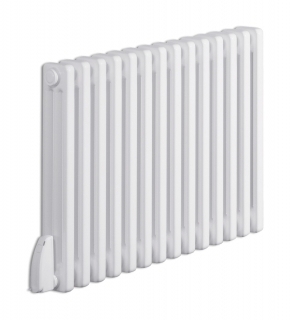 The Myson electric Column radiators combine functionality with style, providing instant heat.